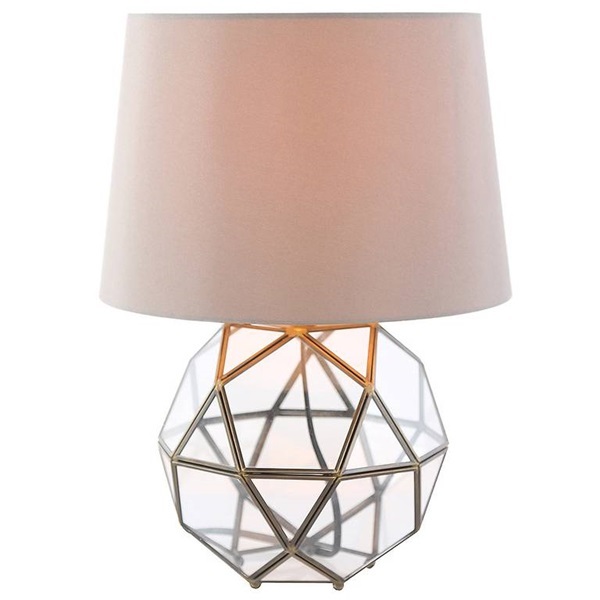 See the indefinite possibilities with this orb-style lamp! 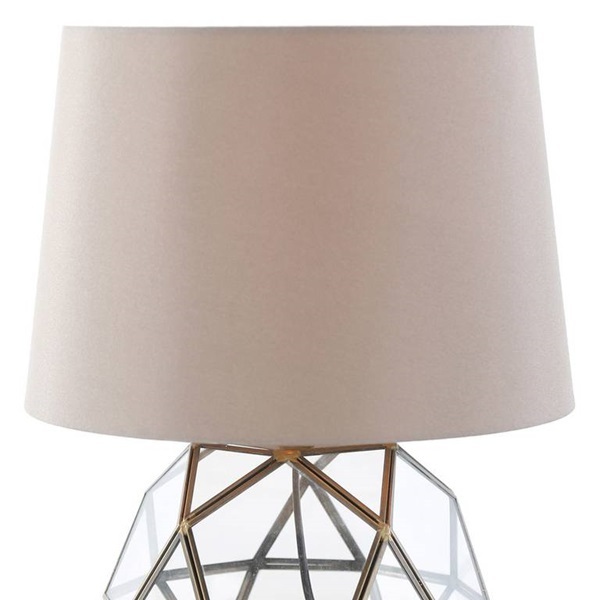 Let this 16.5"H lamp light your home while adding style. 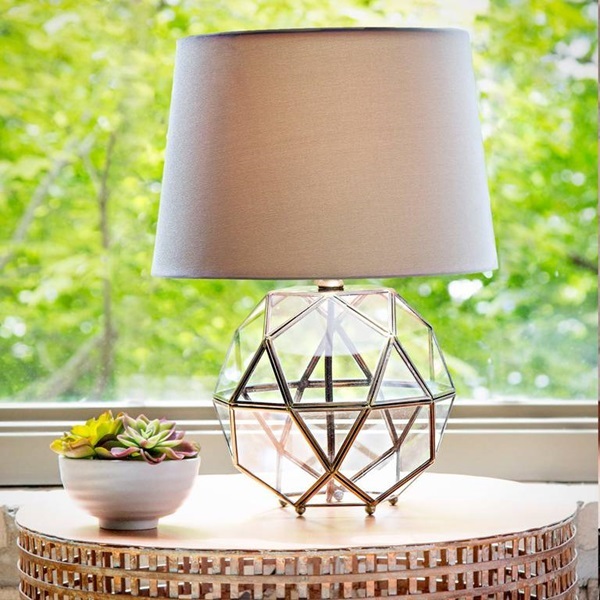 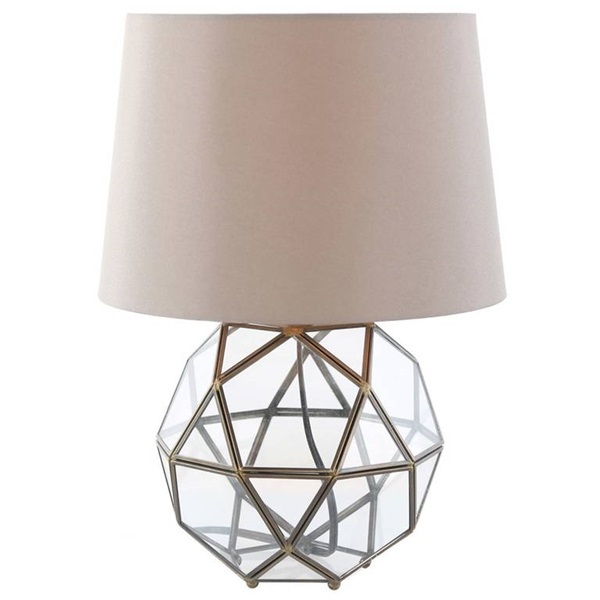 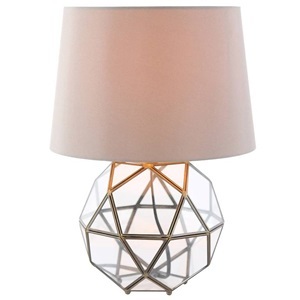 The glass base is a geometric glass orb with brass edging paired with a soft medium beige shade. 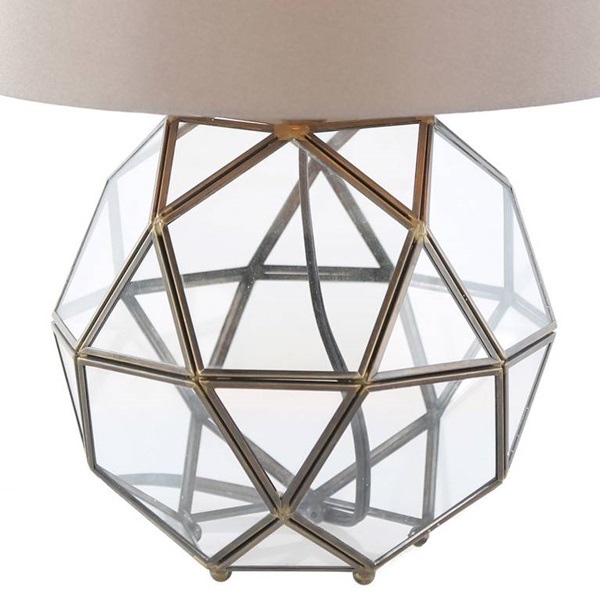 A modern shape with timeless design!